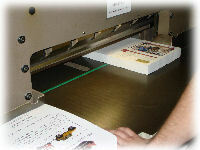 Our bindery department is constantly growing to make sure we can deliver the best quality work in a timely manner. We will continue to acquire new technology, equipment, and personnel so that we can deliver exceptional work on time. From our Horizon Booklet Maker to our programmable paper cutter, we possess the best technology to complete all the exceptional printing that we do! 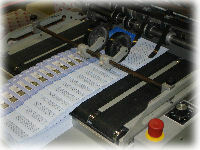 We have recently added a GBC Binder, wafer sealer, and plastic coil binder, and many other unique options so that you can have your piece finished perfectly.